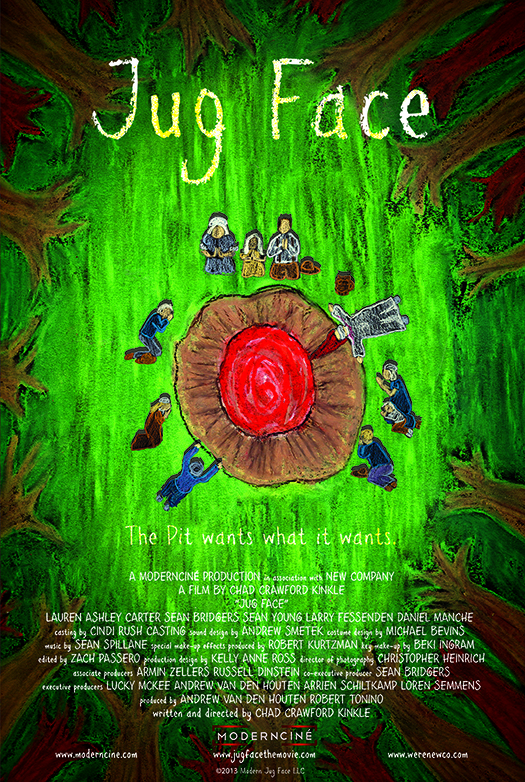 A movie like Jug Face is one of those classically-told yarns that reminds you of something that some talented friend, or friend-of-a-friend would tell at a campfire and you’d be hooked on every word. Even though it’s at a feature’s length, it reminds me of some of Stephen King’s best short stories. Lauren Ashley Carter stars as Ada, and she’s in trouble. Poor Ada, she’s secretly pregnant by her brother and the mysterious “Pit” wants her and her unborn child as its sacrifice. The Pit, you see, is a magical thing that can cure what ails you… but it wants what it wants, as the townfolk are fond of saying, and when it doesn’t get what it wants, it gets mad. Real mad.